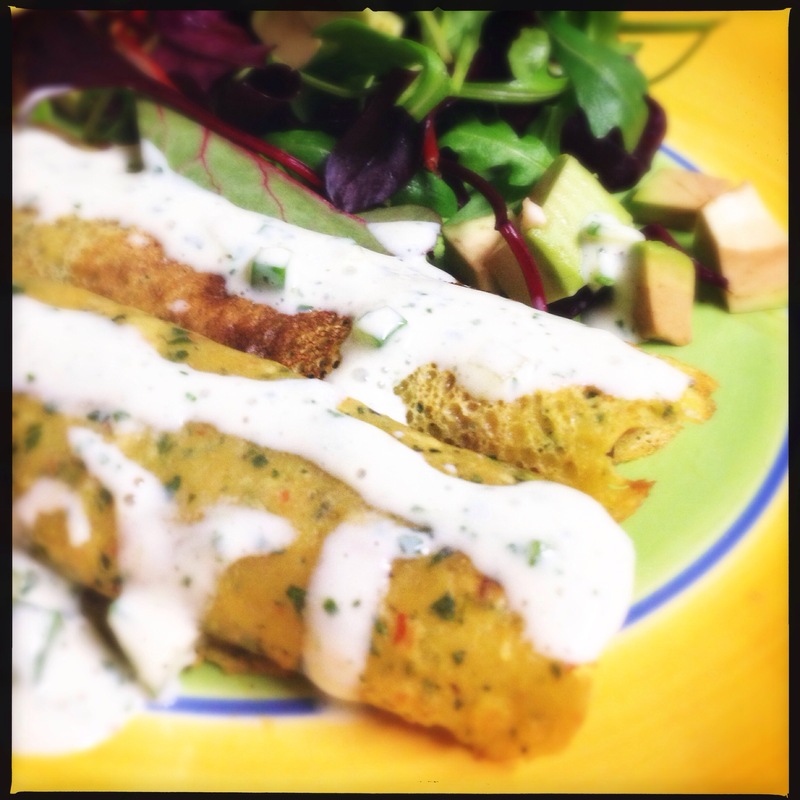 Blend gram flour, water,chilli and half of the mint until smooth like a pancake batter add a little salt to taste. 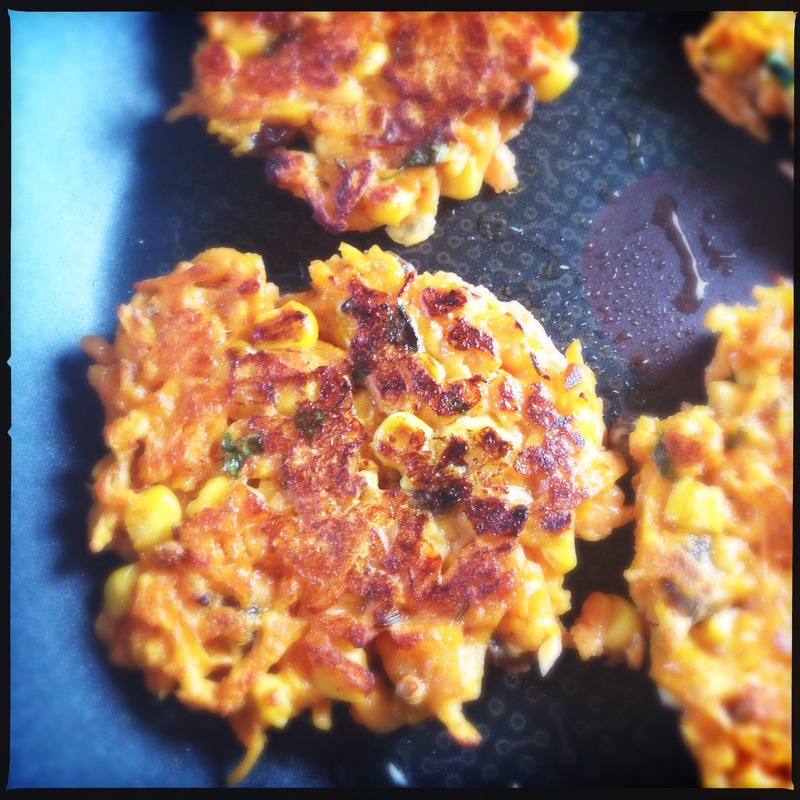 Vegan Indian Spiced Carrot and Corn Fritters. Yum! 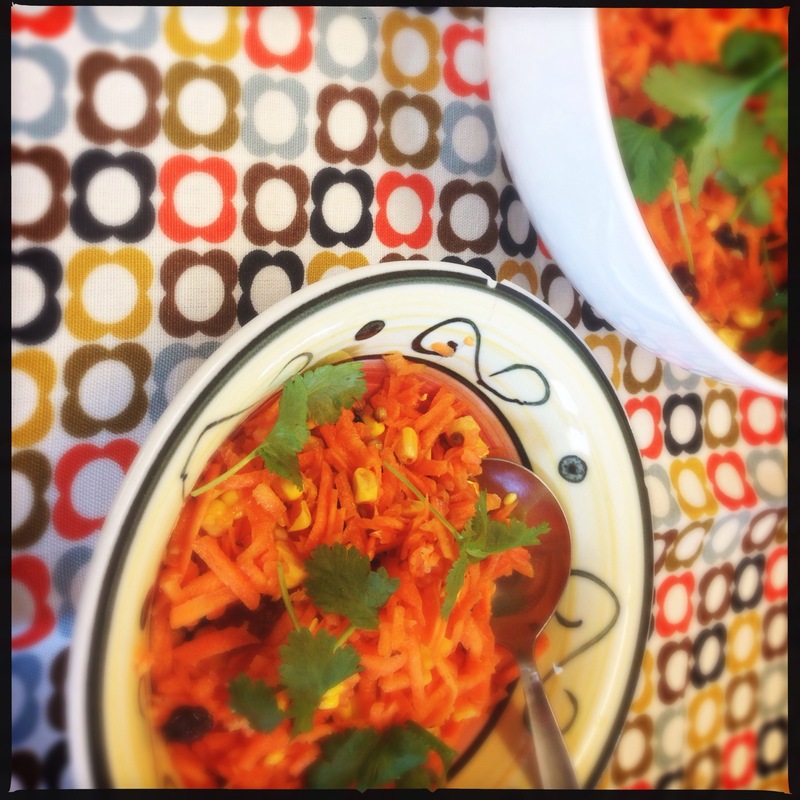 I had leftovers from my carrot and corn salad the other day and was looking for a way to use it up. So with some inspiration from a chef friend of mine who is from India, plus with my love of onion bhajis, this delicious recipe came about. 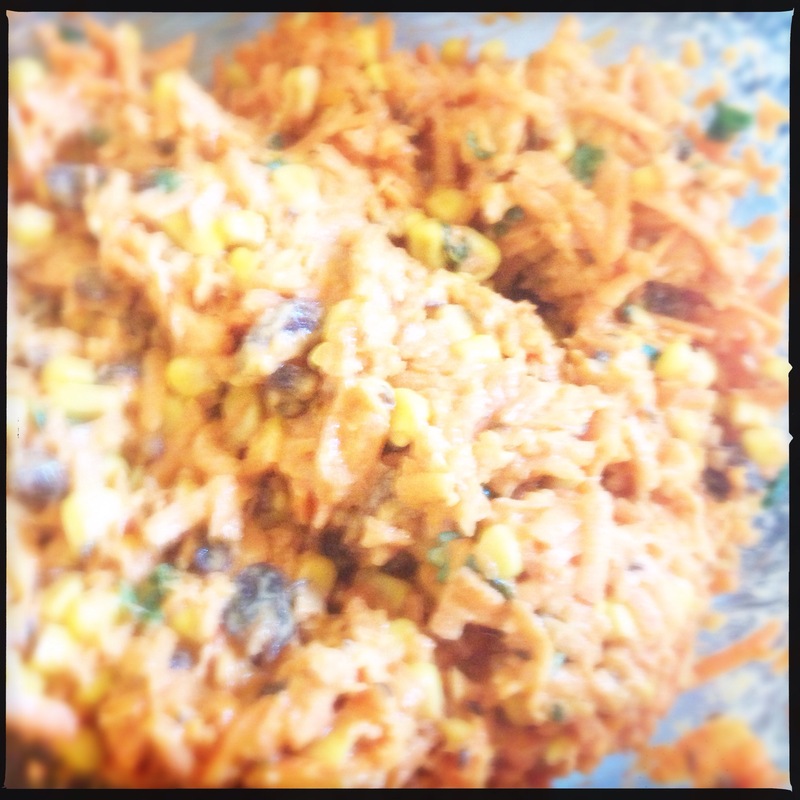 You will need: 300g Carrot and corn salad 1 inch ginger, grated 2 cloves garlic, chopped 100g -150g, gram flour Coconut oil 5-6 slices of good bread 50g roasted tomato relish 100g hummus Salt / pepper 1 tbsp of the following – Coriander powder Cumin powder Garam masala Onion seeds or fenugreek seeds Chili powder Method: Heat oven to 180c. Place all the ingredients in a large bowl and mix well. There should be enough liquid from the carrots to make a batter. Form the batter into small patties using your hands. 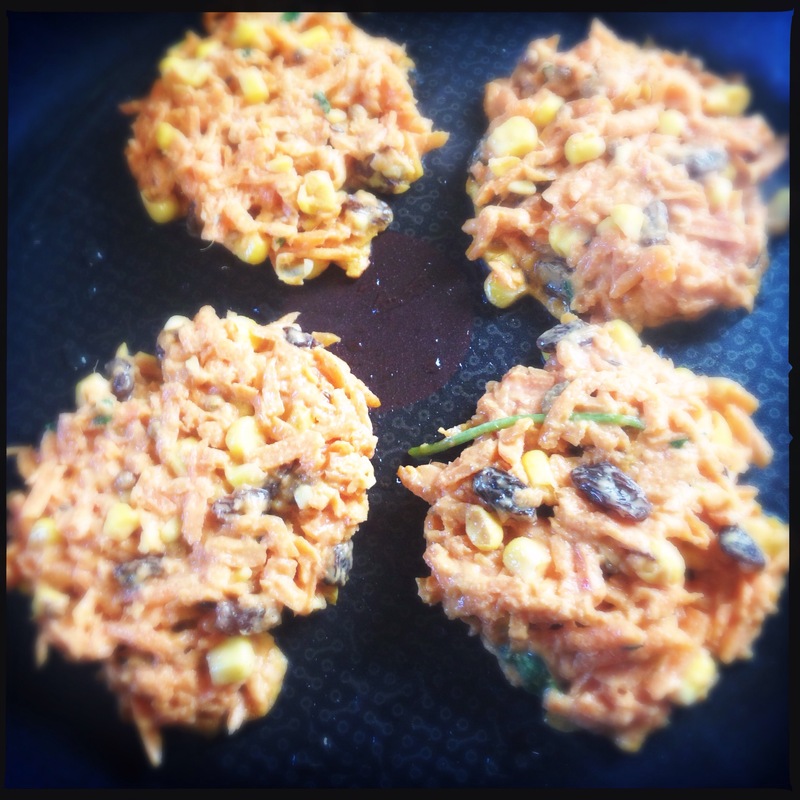 Heat some coconut oil in a pan and add the patties. Allow to brown on both sides, then cook in the oven for 2-3 minutes. If you don’t want to eat them right away, allow them to cool and store in the fridge for up to 2 days. 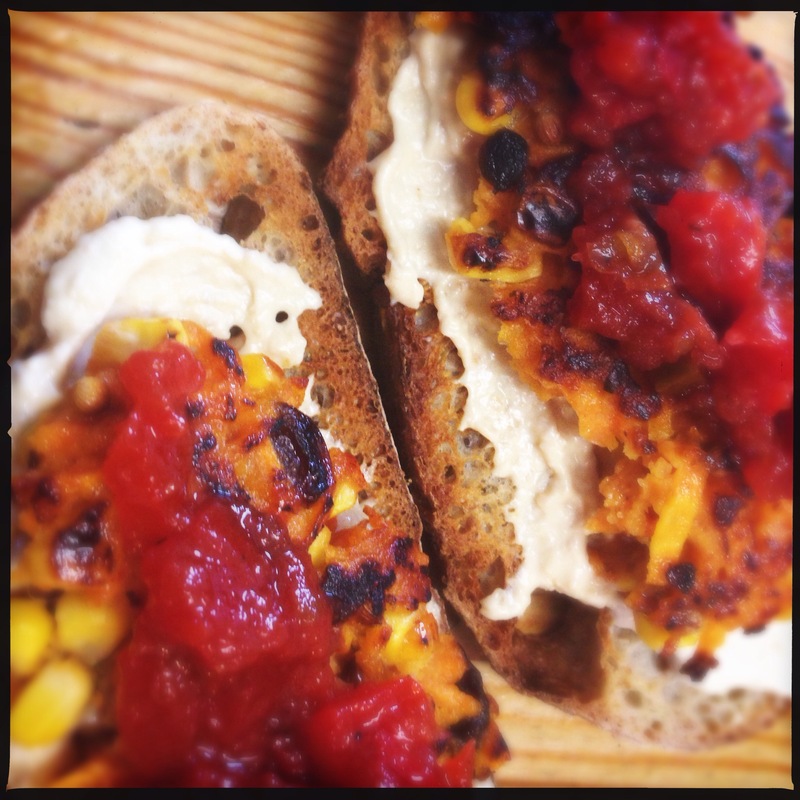 Once they are cooked, I like to serve them on a piece of toasted sourdough bread with hummus and topped with red pepper relish! Delish.